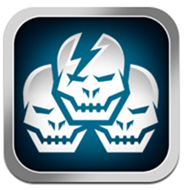 SHADOWGUN: DeadZone For iOS Is An Epic Multiplayer Game Which You Shouldn’t Miss Out On! First-person shooters offering rich, immersing multiplayer experiences are recognized mostly as suited to the PC, as well as consoles like the Xbox 360 or PlayStation 3. However, the rise of mobile as a respectable gaming platform has seen many popular titles gain significant fan bases on iOS and Android. Dead Trigger and Archetype are prime examples of multiplayer games you can enjoy online, on the fly, and joining them today comes another great offering in the form of SHADOWGUN: DeadZone. 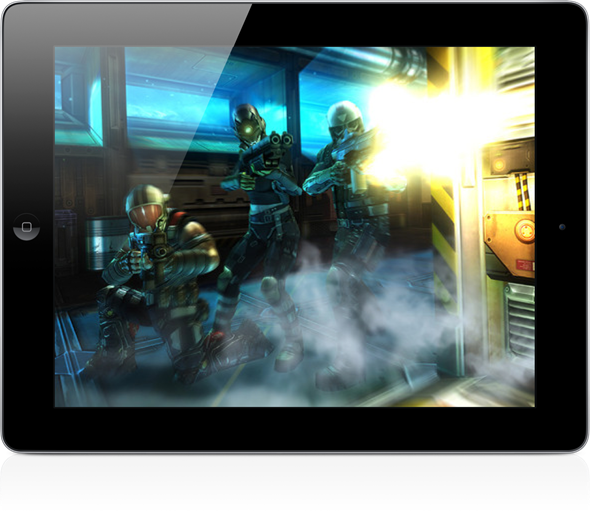 Taking a little break from typing away about Apple versus Samsung, I decided to flex my thumbs and give SHADOWGUN a try; after all, it is free. Needless to say, I have been utterly blown away (once again) by the gaming and graphical performance. 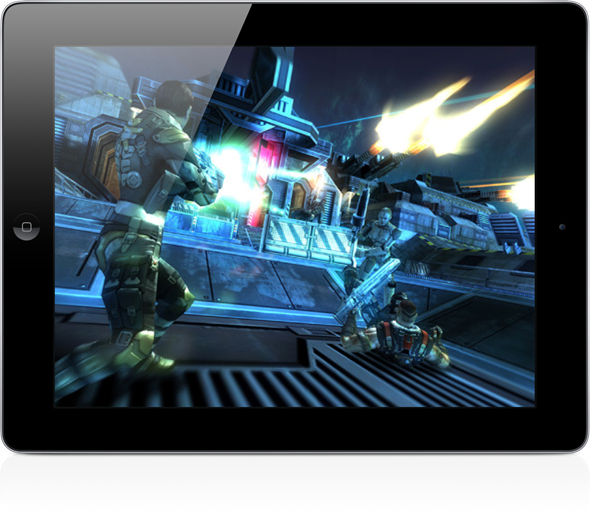 Unfortunately, SHADOWGUN does suffer with the unfortunate nature of being touch-based. While developer MADFINGER has certainly made things as comfortable as possible for the gamer, the touchscreen will never measure up to a physical controller in those life changing situations. In an FPS, every millisecond makes a great deal of difference, and while the layout of the controls certainly optimizes what you can do with the touch interface, it always falls short in those one-on-one situations. Take nothing away, though, SHADOWGUN is a definite keeper, and as you go through the game, you’ll pick up EXP and gold, the latter of which can be used to purchase new characters and weapons. The impatient among you can buy bundles of gold via in-app purchase, and although the packages are reasonable, I always find buying them to be a bit of a defeatist attitude. In my two minutes of gaming, I managed to stick into the game quite well, and the touch based controls play really nicely. I have to admit, this kind of game isn’t what I usually go for, but I really enjoyed participating. The music is edgy, visuals stunning, and the gameplay is about as polished as you’ll get from a first-person shooter on iOS.